Sumptuous beers, delectable food, artisan schnapps, live bands, decadent entertainment and maybe… some more beers? It all sounds a lot like Oktoberfest and its easy to see why you might think that because Frühlingsfest is often referred to as Oktoberfest’s (not so little), little sister. The beer is just as good, the food just as tasty – the only difference being that it’s in Spring! 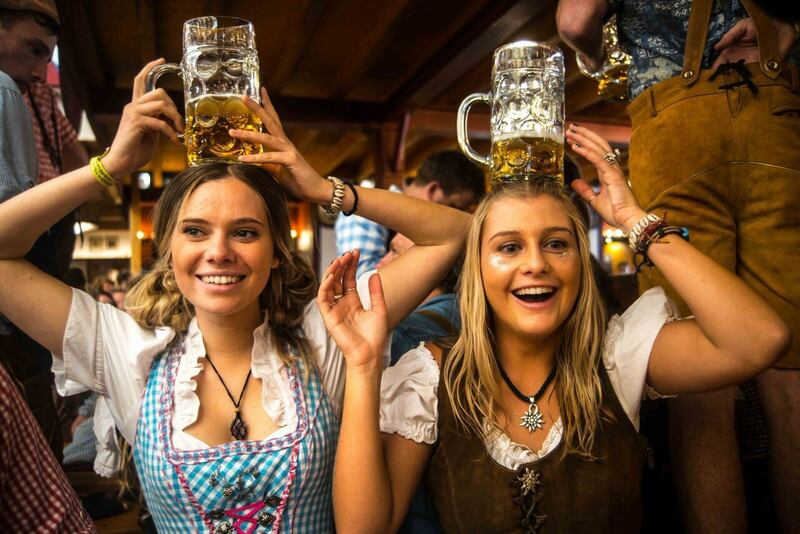 The festival has been running for over 50 years in Munich and has been a great success because well, who doesn’t need an excuse to get merry on 2 pint steins of beer and great food. After the success of Oktoberfest, Brewhemia has decided to bring Frühlingsfest to Edinburgh! We’re gonna’ deck out the beer palace like the tents in Bavaria and throw a lavish party packed with amazing live bands and enticing entertainment. Join us and raise your glass as we fill the table’s with stein’s and dance all around them through the night! In the spirit of the season, we’ve decided to bring some new beers, Bavarian snacks and artisan Schnapps to the table. Yes, there are German style pretzels! The Brewhemia Frühlingsfest begins on the 18th of April and we’ll put a new show on, with fresh entertainment, every weekend until the 27th of May – plenty of time to try something new. Genieße das Leben ständig! Du bist länger tot als lebendig! Always enjoy life! You are dead longer than you are alive! For the love of adventure.